Contributing editor Pete Tullin isn’t the biggest fan of the Edge’s autonomous features, but has plenty of nice things to say about the rest of it. 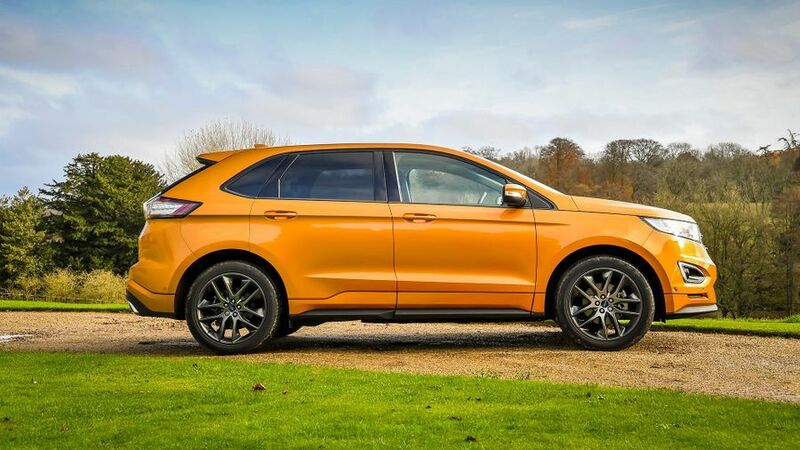 This is the fifth report I’ve filed on our long-term Ford Edge, and with its departure looming, I’m already beginning to compile a mental list of likes and dislikes to feature in our farewell video. Trouble is, I fear I’m in danger of producing what could amount to a gushing diatribe of positives. The Edge has excelled at almost everything I’ve asked of it. Comfortable, refined, roomy and airy, it’s an absolute belter of an all-rounder. Ok, so I would have liked a bit more lower speed performance to get the Edge motivated away from the mark, and some better fuel returns would certainly have been welcome. 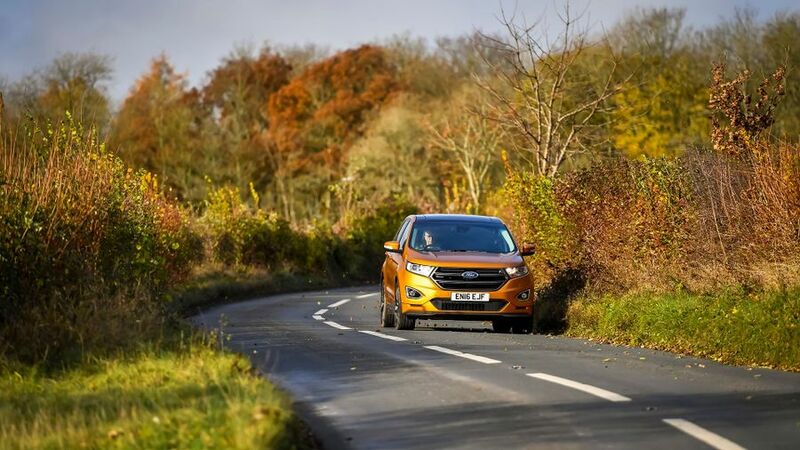 With an average consumption of just 36mpg under my tutelage, that’s a long way short of the 48mpg Ford reckons the Edge will achieve in mixed driving conditions. Consequently, fuel stops have been more frequent than I’d hoped for, but I suppose when you consider the Edge weighs in at around two tonnes and has the aerodynamic slipperiness of a Routemaster, the pragmatist in me recognises those kinds of returns are probably only to be expected. Fuel tank sizes may not be the most glamourous of subjects, but because I get lots of miles in during my work pursuits and leisure time, tank capacity is one of the first things I look for when choosing a long-term test car. And so should you if you bang in the same sort of mileage as me. These days, more and more manufacturers are trimming the size of their tanks to reduce weight and lower CO2 emissions. At 68-litres, the Edge’s tank is not enormous, but even with my size-10 clogs on, it means I can still get close to 500-miles between fill ups. My obsession with capacity is undoubtedly down to the fact that I just want to get home without stopping, but it’s the blatant rip-off culture of most motorway service stations which really vexes me to boiling point. As yet, no-one has been able to explain to me why diesel sold at an M1 service station costs 20p per-litre more than at my local garage, or why I’m expected to take out a second mortgage for a shriveled up full-English. No doubt I would have appreciated the Edge’s tank even more if Ford had welded a few more baffle plates in it, as when I’m trawling along in low speed traffic, I can’t help but hear the fuel sloshing back and forth in the tank as I come on and off the throttle. 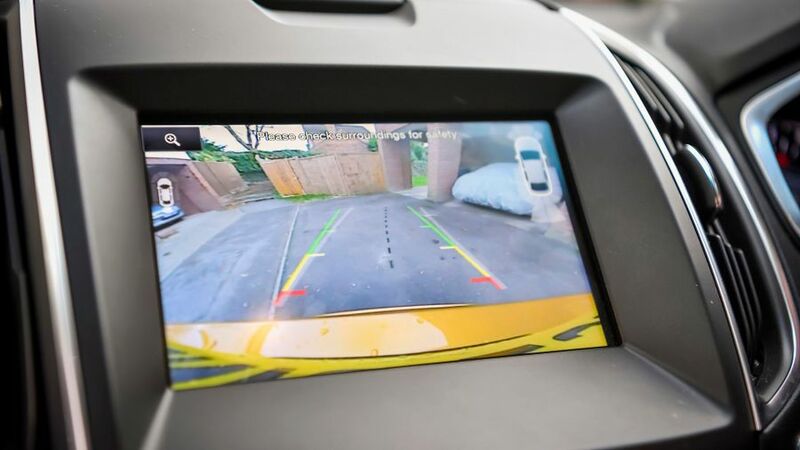 Although the Edge isn’t particularly advanced in terms of autonomous driving features, it does have cameras front and back and it is fitted with automatic parking. I’ve never been a fan of these systems as I’ve always figured I can judge the size of a parking space and slot the Edge home into its berth more accurately and a whole lot faster than the electronics can. On one recent occasion however, with a couple of young impressionables on board, I thought I’d give the electronics a chance to wow my rear-seat occupants. At first, all went well. I pushed the button and the cameras located a suitable sized spot between a pair of parked vehicles, then a message popped up on the central screen telling me to select reverse gear, remove my hands from the steering wheel, and reverse slowly. Trouble is, in its efforts to apply enough lock to get the Edge’s derrière into its chosen gap, the system took absolutely no account of the vicinity of the opposite kerb, and proceeded to shave a good chunk of metal off the Edge’s front offside alloy. My, how I look forward to a future of autonomous driving cars. Not!